from the boss Archives - Communicators Intl. For the last two years we’ve been working with Arriscraft; it’s been a real labor of love. Our client has been pleased with our work and as a result, hooked us up with its parent firm, General Shale, one of the largest and most successful sources of brick material in the United States for decades. 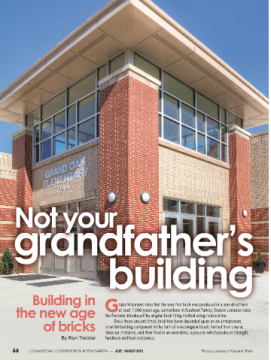 Here’s one of the first articles we’ve written, “Not Your Grandfather’s Building,” that recently appeared in the national media. Thanks for everything, Marta and Dawn! Is SPORTSMANSHIP a thing of the past? I spent some days in Germany last month, most of it actually being vacation time. 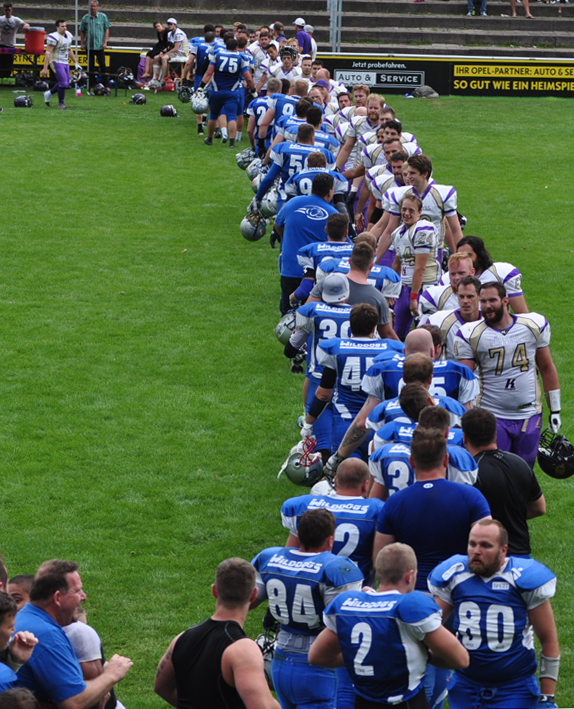 One reason was to see the last game of the 2015 season played by the Pforzheim Wilddogs. 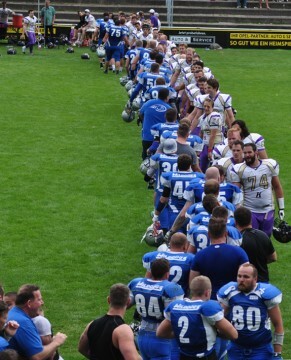 Deutschlanders are big into American football and believe it or not, there are well over 100 teams in the GFL (German Football League). Mein Sohn (my son) Christopher is quarterback of this team, and how could I miss the season’s grand finale against the fearsome Freiburg Sacristans? But at the end of the game, I witnessed something I haven’t seen in many, many years here in the States. Here were grown men, dedicated athletes, queuing up in two lines to “high-five” each other and state “good game.” I saw handshakes, smiles and respect coming from players on both teams. It was a thing of beauty. When you think of these overpaid prima donnas playing in the NFL, these egocentric pinheads who don’t know the word “we,” these coddled children who profess to being “team members” but in actuality don’t have a clue what “teamwork” means… seeing this blatant display of doing what we were taught as kids, was a wonderful sight! In the business arena, it’s best to believe that everyone’s doing their best; everyone means well. And everyone’s worthy of respect. Unless of course, they refuse to play by any of the accepted rules and maxims. Top 10 Thanksgiving Dishes for which you’ll become largely thankful!